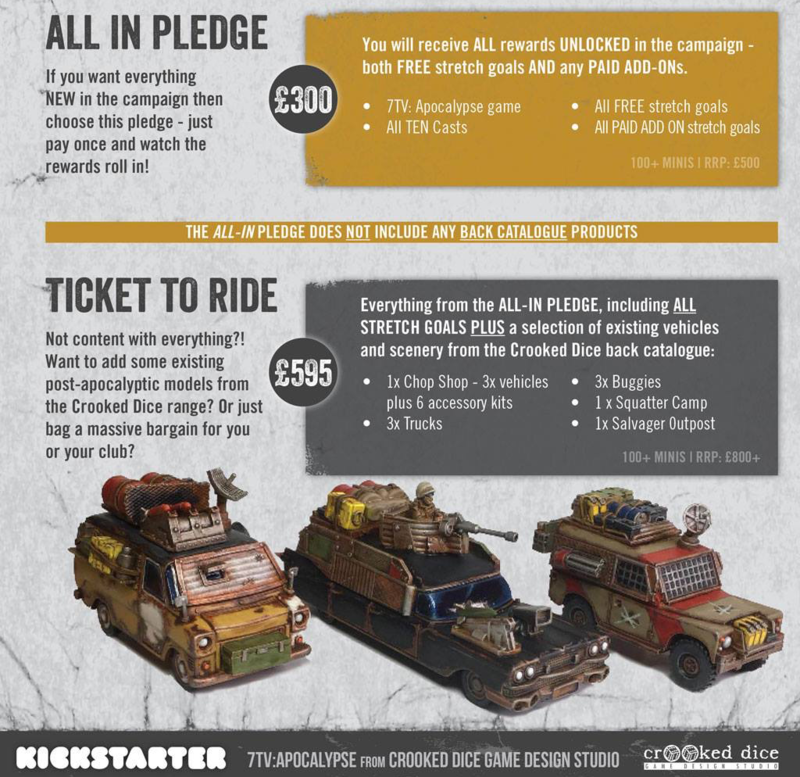 Crooked Dice wird am 16.10.18 den 7TV Apocalypse Kickstarter an den Start gehen lassen – und es wird natürlich auch ein paar Early-Bird-Pledges geben. 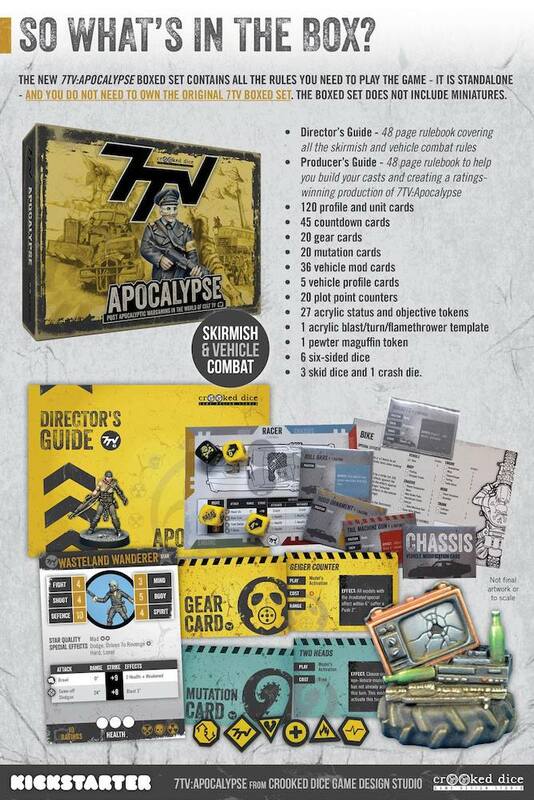 We will launch on Tuesday 16th October, 8pm and run until Tuesday 6th November, 8pm. 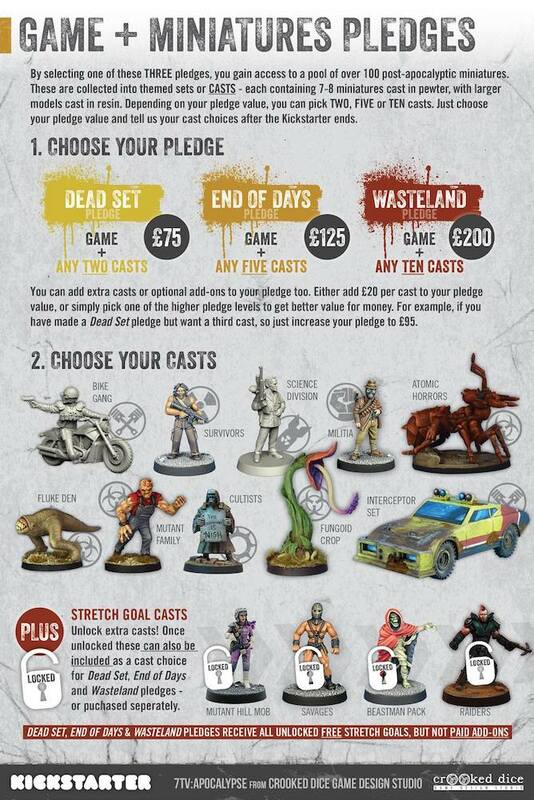 They’ll be early bird offers for 48 hours for the three core game and miniatures pledges if folks want to bag a further bargain too. 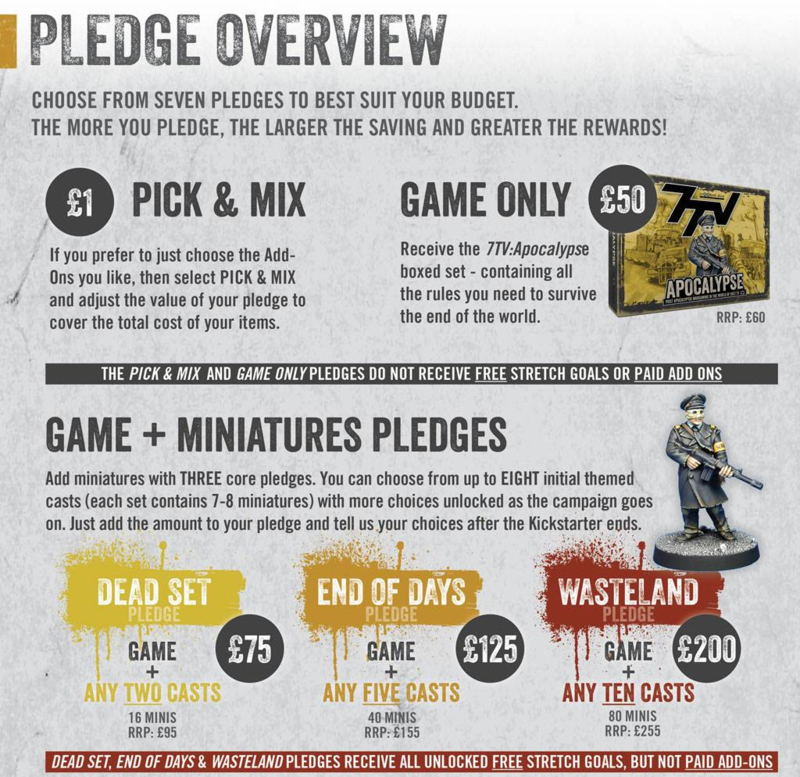 Loads of stretch goals, add-ons and freebies – plus a chance to get some back catalogue bundles at a discount – so hopefully something for everyone! Nice, da würde ich glatt nur mitmachen, um den Polizisten zu bekommen. Ich hab erst vor ein paar Wochen „Threads“ gesehen, passend dazu würde der Polizist sich gut in meiner Sammlung machen.